It’s unconscionable that no one from the CAA has taken responsibility for the destruction yet. PHOTO: OMAR R QURESHI/TWITTER. 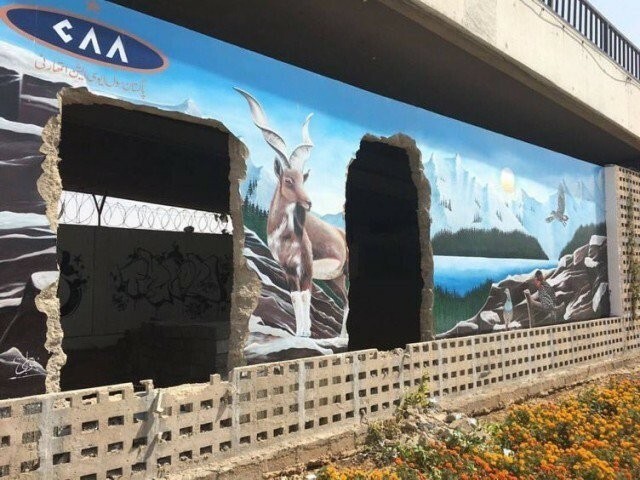 I was absolutely devastated to see what the Civil Aviation Authority (CAA) has done to Italian artist Maurizio Boscheri’s beautiful markhor mural at the Karachi Airport. Pakistan is seen as a dangerous, brutal country, but lately, we’ve been working on softening our image through art and culture. 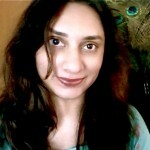 We get excited when a Pakistani artist is chosen to show her work in New York or London or Tokyo. We want grants and fellowships to support Pakistani artists around the world. We want international attention for projects like the Lahore Biennale and the Pakistani Chowk renovation. We think that this humanises us in the eyes of Westerners, that we are recognised as more than terrorists and extremists. But when the CAA decides to break down a mural that was created with love by an Italian artist who wants to communicate, through the medium of art, with people who can’t even speak the same language as him, we look like nothing but a bunch of barbarians. It’s unconscionable that no one from the CAA has taken responsibility for the destruction yet. Considering that in Pakistan, we have not been responsible enough to conserve these beautiful endangered animals, this attitude comes as no surprise. Boscheri has personally told me that he loves Pakistan and its people, and will be back in Pakistan in April for his fourth visit to hold an exhibition in Lahore. This shows his unwavering commitment to the promotion of art in our country. How long can we depend on the goodwill of individuals, countries and diplomatic missions that back their visits to Pakistan when we seem determined to devalue their work and time? The CAA needs to apologise, and fast, to both Boscheri and the Italian Consulate under whose auspices he visited and painted this mural. It needs to apologise to Vasl, the artists’ commune, as well as the local artists Phool Jee and Sabir, who worked alongside Boscheri to create this piece of art. Moreover, it needs to make arrangements to have the mural repaired, pay for the artists’ time and effort and whatever costs are needed to restore the mural. That is, if the artists agree to work on it again. We cannot have a peaceful city or a civilised nation if we show no respect to the artists who bring humanity, culture and beauty to its shores. We must abandon our callous attitude towards artists and their art, and re-evaluate what it is about us that makes us so willing to desecrate art in the name of crass materialism. Horrible mistakes like the destruction of the markhor mural remind us that everything around us is a struggle for the soul of this city. We must make amends or risk losing it forever. That Mural was not very skillfully painted. While i agree that Pakistani government and civilians need to respect and protect art and heritage and cultural symbols, i think in this situation, the art being destroyed, is not really “art”, its just a drawing.